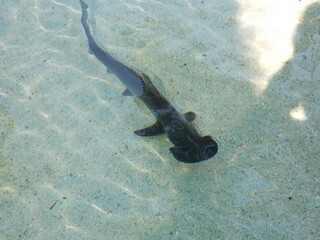 The Bonnethead Shark (Sphyrna tiburo) looks like a miniature version of the Hammerhead Shark, and indeed it is the smallest of the ten species in the hammerhead family. Bonnetheads average about 3.5 feet long and can sometimes reach 5 feet. They are a common shark in shallow warm waters on both coasts, ranging seasonally from Brazil around the Gulf of Mexico all the way up to Massachusetts, and from Ecuador to California. In Florida, they can be found in bays and estuaries for most of the year, though they tend to move further south during the winter. I occasionally encounter them while kayaking in Tampa Bay. In June 1942, Japanese forces seized two islands in the Aleutians chain, part of Alaska. It was the first foreign occupation of American territory since the War of 1812, and the battles to retake the islands of Kiska and Attu were proportionately more deadly than the campaigns at Iwo Jima or Okinawa. Yet today, the Aleutians campaign is largely forgotten. 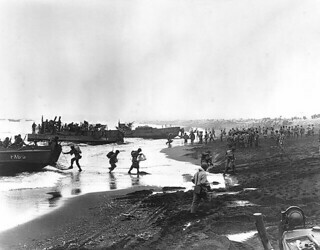 American troops land on Attu. 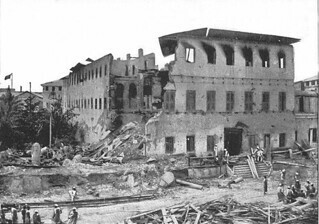 In the long history of conflict and warfare, four stand out as some of the strangest; the shortest war in history lasted just 38 minutes; the longest war in history did not kill anyone; the Australian Army lost a campaign against a flock of emus; two Central American countries were provoked into war by a soccer game. For decades, fans of the paranormal have debated the supposed phenomenon of “Spontaneous Human Combustion” (SHC), in which people have apparently burst into flame from the inside, and are consumed almost totally while their surroundings remain unburnt. 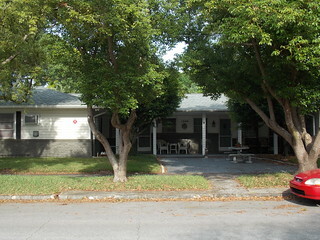 One of the most famous of these cases is that of Mary Reeser, who lived right here in St Petersburg, Florida, just half a mile from my apartment. The apartment building on Cherry Street where Mary Reeser died. Florida is well-known for its population of Alligators, which thrive throughout the state. 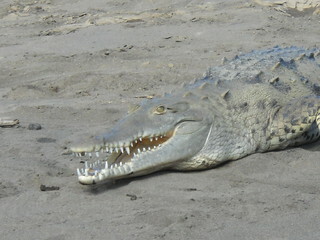 Less well-known, though, is the Alligator’s close cousin, the American Crocodile. Though widespread in Central and South America, the American Crocodile is very rare in the US, extending only to the southern tip of Florida. In the early United States, labor unions were outlawed–they were considered to be illegal conspiracies in restraint of “free trade”. That changed in 1842, when, in the Hunt case, the courts ruled that collective bargaining was legal and that workers could form unions and associations. 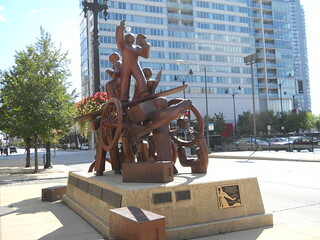 The commemorative memorial in Haymarket Square, Chicago. 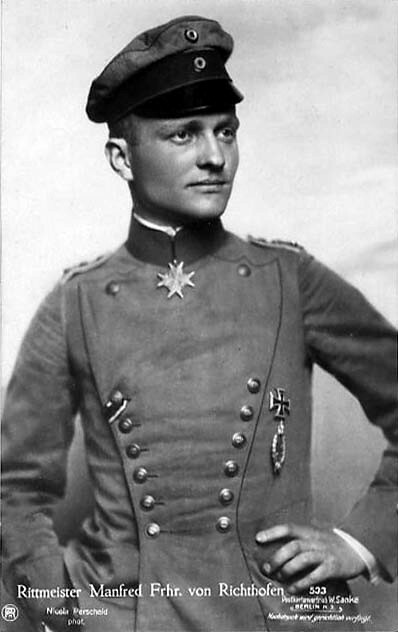 According to the history books, the most famous air ace in history, Manfred von Richthofen, “The Red Baron”, was shot down near Amiens in France on April 21, 1918, by Canadian ace Roy Brown. But modern analysis shows that the history books are almost certainly wrong . . .